An awardee his/her lifetime commitment to the Labor community and Democratic ideas & values. Authorized by Virginia’s 11th Congressional District Democratic Committee (www.11thdistrictdemocrats.org), Robert Haley, Chair. You Don’t Have to Be Irish to Celebrate This Green-Letter Day! 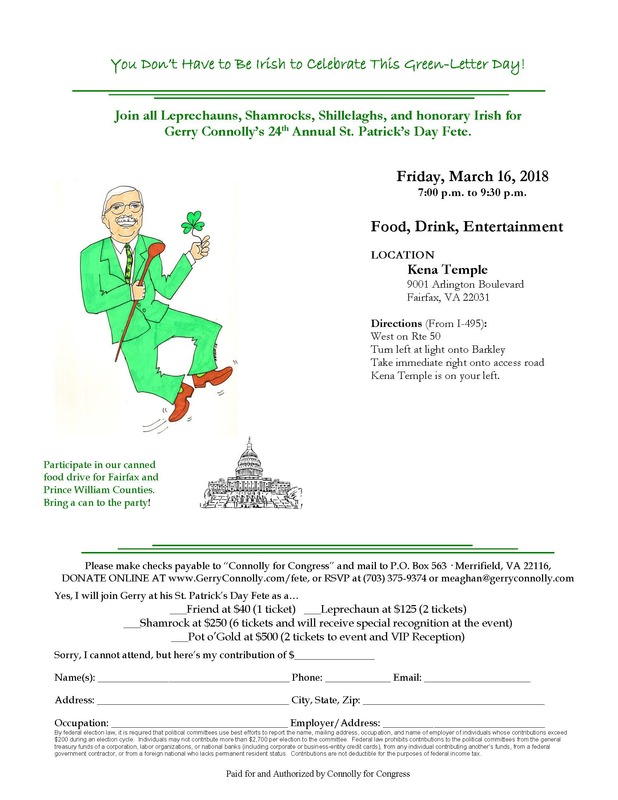 Join all Leprechauns, Shamrocks, Shillelaghs, and honorary Irish for Gerry Connolly’s 24th Annual St. Patrick’s Day Fete.